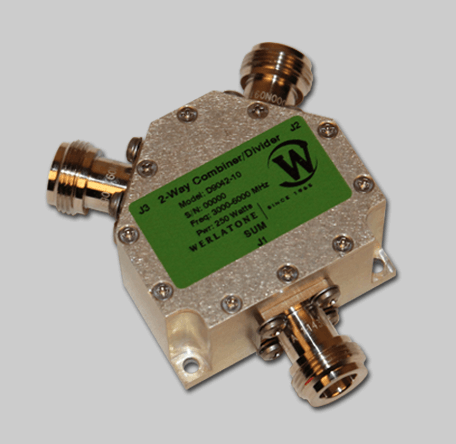 Werlatones breakthrough technology provides a new 2-Way Combining solution covering the full 3000-6000 MHz bandwidth. Model D9042 is rated for 250 watts, at the sum port, and operates with an insertion loss of only 0.35 dB max. This small package size measures just 2.03 x 2 x 0.87 and weighs 5 ounces. Model D9042 offers excellent isolation of 15 dB min and is designed specifically for military and commercial applications.